We are glad to invite you to take part in the 7th edition of the Workshop on Plasmonics and its Applications, "PLASMONICA 2019", to be held on June 19-21, 2019 in Naples, Italy. Plasmonica is an annual conference aimed at bringing together a thriving community of researchers working on Plasmonics and Nanophotonics. In particular, the conference encourages early career researchers, PhD students, and post-docs to share their latest results, to discuss recent advances in the field, and to start new collaborations on challenging scientific problems. Looking forward to seeing you in Napoli! MinacNed organizes the 13th edition of the international MicroNanoConference. The conference will take place at the 11th and 12th of December at the impressive Beurs van Berlage in vibrant Amsterdam. The iMNC 2018 focusses on the integration between the themes and connects science with industry in the field of microsystems and nanotechnology. The conference programme shows the connections between science, industry and customer by giving visions from different views and perspectives about barriers, solutions and new technologies. Organ-on-a-chip, Microfluidics, Biosensing and Functional surfaces and interfaces are the main themes of the iMNC 2018. The programme includes sessions about Photonics, Integrated Optics & Opto-Fluidics, Instruments for Fabrication and Characterization, Nanomedicine- drug delivery - drug targeting, Micro analytical systems and many more. We can announce an impressive lecture programme with speakers of NASA Ames Research Center, IBM, ASML, Frost & Sullivan, University of Singapore and TissUse. In addition to the lecture programme, all leading suppliers, universities and institutes will present themselves in the central hall of the Beurs van Berlage with a table-top or by giving a workshop in connection with the lecture programme. Emerging technological innovations enabled by next generation sensors will define the landscape for the future commercialization of life changing products. The exponential growth of the global sensors market and the demand for next generation integrated systems is expected to reach $154 billion by 2020. The 4th Annual Sensors Summit’s international faculty of key industry and academic leaders will present the latest technological advancements of real-world applications within healthcare and emerging markets through our conference tracks, symposium and tutorials. Exponential increases in demand for the next generation of clinical diagnostic, monitoring and measuring sensors for applications in implantable and wearable devices have created new commercial market opportunities with explosive growth potential. Low-cost materials and advances in nano and micro fabrication techniques within the manufacturing process have led to significant increases in the commercialization of biological and chemical sensors for healthcare applications. This conference will examine the latest advancements in research, engineering and manufacturing and will provide attendees with the state of the art in biosensors commercialization for healthcare. Emerging applications for sensors in such areas as defense, energy, environmental and industrial markets have experienced significant market growth over the last 10 years. This conference will examine emerging sensor markets and will showcase the latest technological advancements in smart materials, design, engineering and manufacturing. The market demand for implantable biomedical systems continues to grow at a significant pace. Solving the technological hurdles of miniaturization, power supply and efficient interfaces between the implants and external devices is critical to the growth of the market. This symposium will examine the latest advances in design, manufacturing, reliability, wireless charging and communications for implantable biomedical systems from both a theoretical and practical standpoint. The Spanish Conference on Electron Devices (CDE) serves as the major venue for the presentation of the latest progress in current and emerging electron devices and technologies developed by Spanish research groups. Attendees to the conference originate from the main research groups working on electronic devices in Spain and also from different international laboratories they collaborate with. They come mostly from academic and research institutions and belong to both theoretical and experimental groups working in a variety of fields related to electronic devices. Fluorescent Biomolecules and their Building Blocks (FB3), which will be held in Glasgow from 30th June-3rd July 2018, is an international conference founded by Prof. Yitzhak Tor (UCSD) and Prof. Marcus Wilhelmsson (Chalmers University of Technology). It brings together established scientists, younger investigators, students and postdoctoral fellows from around the world to discuss the state-of-the-art in the development and use of fluorescent probe molecules for biomolecular and nanotechnological systems. To enable focused discussions, promote exchange of ideas between the participants and to simplify informal networking, the number of participants will be limited to approximately 150-180. We are working on putting together a stimulating program, which will include, in addition to the keynote and invited lectures, also posters and short oral presentations. The conference is designed as an international forum for effective exchange of knowledge among researchers, from all over the world, active in various theoretical and applied areas of: biophysics, biochemistry, medicine, bioengineering, environmental protection and food safety. We hope that this conference will represent an ideal opportunity for you to stay abreast of the latest developments in those areas of research, to present and discuss the most important scientific problems during the scientific sessions, as well as to meet old friends and make new ones. Invited and Regular Oral Lectures, together with Posters presented by scientists from both the academic and industrial areas will form the high-level scientific program. To keep up with the highest standards, each contribution will be peer-reviewed by international experts. Based on these recommendations, the scientific committee will decide upon acceptance. Besides the scientific aspects of the Conference, our guests will have every chance to enjoy the hospitality and the beauties of our historic town, Brasov. Emerging technological innovations enabled by next generation sensors will define the landscape for the future commercialization of life changing products. The exponential growth of the global sensors market and the demand for next generation integrated systems is expected to reach $154 billion by 2020. At the Biological + Chemical Sensors Summit, an international faculty of key industry and academic leaders will present the latest technological advancements of real-world applications within healthcare and emerging markets through conference tracks, symposium and tutorials. gathering researchers from all over the world to present and discuss newest developments in the broad field of biosensors. The CIRP-Biomanufacturing conference was designed to be an international forum to discuss progress and future directions, and revise milestones as necessary, to facilitate exchange of information on biodesign, biofabrication and biomechatronics. Biomanufacturing, defined as the design, fabrication, assembly and measurement of bio-elements into structures, devices, and systems, and their interfacing and integration into/with larger scale structures in vivo or in vitro, is an emergent domain integrating life science and engineering principles. CIRP, the World Academy for Production Engineering, plays a key role in this area promoting multidisciplinary research towards the development of medical and welfare devices and systems for improving quality of life and reducing global healthcare costs. 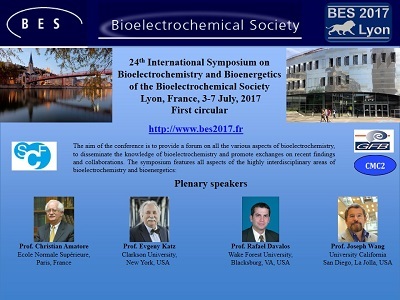 The international symposium Bioelectrochemistry 2017 that will be organized in Lyon, France on 3-7 July 2017. This symposium will provide facilities for the companies to exhibit and advertise electrochemical equipment and other scientific materials. More than 250 people are expected to attend this 24th International Symposium. The last ones held in Bochum, Germany (2013) and in Malmö, Sweden (2015). Oxford Global Conferences are proud to present Europe’s leading Bioelectronics and Biosensors Congress, taking place on the 17-18 November 2016 in London. Our event features over 35 international world-class speakers, 36 presentations and 4 interactive streams based on biomedical electronics, nerve stimulation, implantable devices and neuromodulation devices. For further information, please Click here. For more details on how to register for the meeting contact [email protected] or call +44(0)1865 248455. SELECTBIO’s highly successful Biodetection & Biosensors Conference is now in its 8th year. This event will incorporate aspects of both biodetection and biosensors, a rapidly growing area of science. The conference will also cover other areas of biodetection, such as field ready pathogen detection devices, Next Generation Sequencing and biomarkers. 29 June–1 July 2016 The Fourth Edition of International Conference on Analytical and Nanoanalytical Methods for Biomedical and Environmental Sciences "IC-ANMBES 2016"
The conference is designed as an international forum for effective exchange of knowledge and experience among researchers, from all over the world, active in various theoretical and applied areas of: biophysics, medicine, bioengineering, environmental protection and food safety. ESEAC is a well-established, internationally-renowned conference series that has been running for almost 30 years. It draws together the world leaders in electroanalytical chemistry and covers a range of topical and significant scientific themes on electroactive nanomaterials, processes at electrochemical interfaces, electrochemical measurement techniques, etc., all of which continue to play a significant role in areas such as sensors, biosensors, diagnostics and bioanalysis, energy devices such as batteries, fuel cells and supercapacitors. The biannual EUROPTODE conference is one of the major conference series on optical sensors. Since 1992, the EUROPTODE conference has been a forum for scientists and engineers from academia, research institutes and industry from all over the world. The conference attracts around 300 participants and focuses on all aspects related to the research, development and applications of optical chemical sensors and biosensors. extensive interest and this conference brings together the academic as well as industry stakeholders in these expanding fields. SELECTBIO is pleased to announce that Lab-on-a-Chip & Microfluidics 2016 will take place in Madrid, Spain, on March 15-16. Drawing in researchers and industry professionals from around the world, this conference will explore the latest developments in Lab-on-a-Chip devices. nano engineering or device manufacturing. Visit the website for agenda and registration information, including details of our 3 for 2 offer! The aim of the 2016 International Conference On Nanoscience and Nanotechnology (ICONN 2016) is to bring together Australian and International communities (students, scientists, engineers and stake holders from academia, government laboratories, industry and other organisations) working in the field of nanoscale science and technology to discuss new and exciting advances in the field. ICONN will cover nanostructure growth, synthesis, fabrication, characterization, device design, theory, modeling, testing, applications, commercialisation, and health and safety aspects of nanotechnology. The ICNB 2015: International Conference on Nanotechnology and Biosensors aims to bring together leading academic scientists, researchers and research scholars to exchange and share their experiences and research results about all aspects of Nanotechnology and Biosensors. It also provides the premier interdisciplinary forum for researchers, practitioners and educators to present and discuss the most recent innovations, trends, and concerns, practical challenges encountered and the solutions adopted in the field of Nanotechnology and Biosensors. nanocrystals in biomedical imaging and diagnostics. The International Conference on Chemical and Biochemical Engineering (ICCBE15), is organized by academics and researchers belonging to different scientific areas of the C3i/Polytechnic Institute of Portalegre (Portugal) and the University of Extremadura (Spain) with the technical support of ScienceKnow Conferences. The event has the objective of creating an international forum for academics, researchers and scientists from worldwide to discuss worldwide results and proposals regarding to the soundest issues related to Chemical and Biochemical Engineering. It will be held in Paris from 20 to 22 July 2015. This year’s meeting will incorporate aspects of both biodetection and biosensors, a rapidly growing area of science. Biosensors are small analytical devices that can convert a biological stimulus into an electrical signal which can be for things such as measuring concentrations of substances within the body and are extremely valuable in rapidly detecting when these levels change. In this conference, the Separation Science and Technology Group (SSTG) has assembled a panel of world renowned experts in sensor technology to present on the latest developments in this new and exciting area of science. The Conference objective is to bring together academic and commercial experts to explore new ideas and innovations in the application of sensors to environmental monitoring. There will be presentations on climate change; native and urban plants for honey bees and native pollinators; and encouraging the use of locally grown crops and practicing sustainability in crop production. The EUROPT(R)ODE Conference series attracts more than 250 participants from over 30 countries and focuses on all aspects related to the research, development and applications of optical chem/bio sensors. This biannual Conference brings together engineers and scientists to discuss the recent progress and future trends in the design, fabrication, and application of optical sensing devices. The program will combine plenary and parallel oral sessions featuring invited presentations by a number of international recognized scientists and will also include both contributed oral and poster presentations. Sensor applications in medical diagnosis are growing at an astonishing rate. Twenty five years ago, these applications were limited to laboratory measurement of blood gases and electrolytes. Today biosensors are used in a variety of ways to monitor glucose in diabetes, detect and diagnose cancer and infectious diseases; new applications appear almost daily. Linking sensors to mobile phone technology has made wearable sensors a reality, allowing individuals to monitor not only chronic diseases, but also their lifestyle as a key input to preventative medicine. This year’s meeting will incorporate aspects of both biodetection and biosensors. Biosensors are small analytical devices that can convert a biological stimulus into an electrical signal which can be for things such as measuring concentrations of substances within the body and are extremely valuable in rapidly detecting when these levels change. The aim of the ICNB conference series is to provide a forum for laying the foundations of a new principled approach to Nanotechnology and Biosensors. To this end, the meeting aims to attract participants with different backgrounds, to foster cross-pollination between different research fields, and to expose and discuss innovative theories, frameworks, methodologies, tools, and applications. IEEE SENSORS 2013 is intended to provide a forum for research scientists, engineers, and practitioners throughout the world to present their latest research findings, ideas, and applications in the area of sensors and sensing technology. IEEE SENSORS 2013 will include keynote addresses and invited presentations by eminent scientists. The Conference solicits original state-of-the-art contributions as well as review papers. Other Sensor Topics - Materials, processes, circuits, signals and interfaces, etc. Welcome to the official website of the 3rd International Conference on Materials and Applications for Sensors and Transducers. 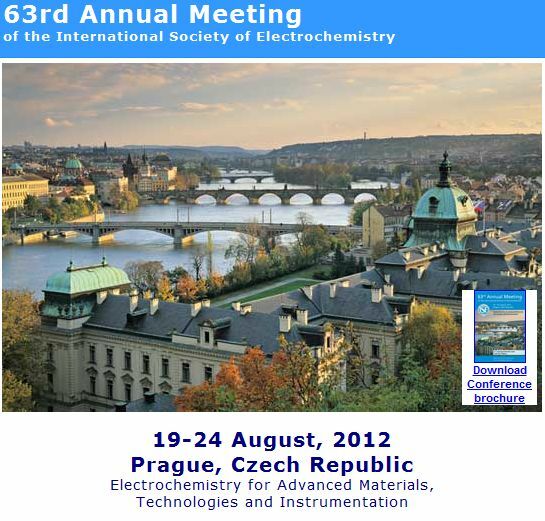 The conference is to be held at Prague, Czech Republic during September 13-17, 2013. The conference aims at creating a forum in the field of materials research and their applications, especially for those materials that are used for sensors and devices that transduce physical properties. Physics of materials such us: classification of physical effects, measurement theory, modelling of sensors etc. It is our great pleasure to announce that the 7th World Congress on Biomimetics, Artificial Muscles and Nano-Bio (BAMN2013) will be held on August 26-30, 2013 at Jeju Island, South Korea. As one of the highly acclaimed field, it takes place biannually in different countries all over the world. The aim of the congress is to offer high-level lectures, extensive discussions and communications covering the state of the art on biomimetics, artificial muscles, and nano-bio technologies providing an overview on their potential applications in the industrial, biomedical and robotic fields. This conference is meant to create a necessary platform for an ongoing dialogue between researchers from different areas (chemistry, physics, biology, medicine, engineering, robotics, etc.) within biomimetics, artificial muscles and nano-bio technologies. The Bioengineering Division of the American Society of Mechanical Engineering cordially invites you to attend the ASME 2013 Summer Bioengineering Conference. An outstanding scientific program is planned, including Plenary Lectures, Symposia, Workshops, and Student Paper Competitions. This year, the theme for our conference will be Translational Research. Becky Bergman of Medtronic, Inc. will be the keynote speaker at the 2013 SBC. Ms. Bergman is the Vice President of New Therapies and Diagnostics for Cardiac Rhythm Disease Management. Ms. Bergman has more than 24 years of experience in the medical technology industry including over 16 years in research technology management and product development. She has served on the advisory committee for the National Institute of Biomedical Imaging and Bioengineering. She is a fellow of the American Institute for Medical and Biological Engineering (AIMBE) and a member of the National Academy of Engineering (NAE). Ms. Bergman will speak about the successful partnerships formed between academicians and industry that have helped translate technology to clinical use. In addition, there will be a workshop on Translational Research funding with representatives from NIH NIBIB and NSF Bioengineering SBIR/STTR programs. This unique international conference provides a platform for researchers and decision makers in biotechnology to present their latest findings and learn about all the important developments in biotechnology. Many Nobel Laureates and many world renowned experts will participate at the conference. Advances in Microfluidics & Nanofluidics (AMN) 2013 is the fourth AMN conference after successful meetings previously held in Hong Kong (2009), Singapore (2011) and Dalian, China (2012). The aim of the conference is to provide a forum to promote scientific exchange and to foster closer networks and collaborative ties between leading international micro/nanofluidics researchers across various disciplines from engineering, physics, chemistry, biology, material science and biotechnology. The scope of AMN 2013 is deliberately broad and interdisciplinary, encompassing the latest advances and the most innovative developments in micro/nanoscale science and technology. Topics range from fundamental research to its applications in chemistry, physics, biology, materials and medicine. Bio-sensing technologies are of increasing importance in healthcare, agri-food, environmental and security sectors, and this is reflected in the continued growth of global markets for such technologies. This two and a half day Conference will provide a forum for accessing to the most up-to-date and authoritative knowledge from both commercial and academic worlds, sharing best practice in the field as well as learning about case studies of successfully integrated bio-sensing technologies. The meeting will provide an opportunity to highlight recent developments and to identify emerging and future areas of growth in this exciting field. Following the success of the first 2 conferences, the 3rd International Conference on Bio-Sensing Technology will continue to bring together leaders from industry and academia to exchange and share their experiences, present research results, explore collaborations and to spark new ideas, with the aim of developing new projects and exploiting new technology for bio-sensing applications. This meeting, which has been held annually since 1982, has steadily grown and typically has over 200 registrants. The conference was started to bring together engineers and scientists in the South with interest in biomedical applications and showcase development in the emerging field of biomedical engineering. It has grown into not only a regional conference, but an international conference with participants from every part of the United States, Canada, South America, Europe, and Asia. The aim of this conference is to bring together researchers, clinicians, students, and industry leaders to discuss current ideas and concepts in biomedical research. The conference cover advances and innovations in Biomedical Engineering and related science, technology and education. Translation of biomedical technology to the clinic, mobile medicine, and innovative application of computational approaches and photonic, micro, nano, and wireless devices for investigating, real-time interfacing and targeted control of physiological function are of special interest. The program agenda includes keynote lectures, presentations in diverse areas of biomedical engineering, and student competitions. This year’s conference features two application-specific themes, which are embodied by our symposia on “Coatings and Surface Treatments for Medical Applications” and “Thin Films for Photovoltaics and Batteries.” In addition, we will offer 12 traditional sessions focused on our core technologies. Our symposia both define and unite the 2013 TechCon by touching on topics and technologies that span the broad capabilities within the SVC community. In doing so, we connect basic research with industrially relevant “problems” and this bridge serves as the framework on which all of the major activities as well as our outstanding education program are based. Our business-friendly environment is evident in our unmatched exhibition, numerous networking events, and sessions tailored to the scientist and engineer – no other organization links innovation with business like the SVC. • Technical Poster Presentations with Oral Session New! 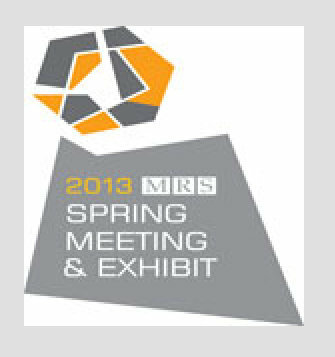 The 2013 MRS Spring Meeting will host 56 technical sessions, an international exhibit, a variety of special events and tutorial sessions, and much more. The aim objective of the International Conference on Bioinformatics and Biomedical Technology (ICBBT) is to provide a platform for researchers, engineers, academicians as well as industrial professionals from all over the world to present their research results and development activities in Bioinformatics and Biomedical Technology. Previous ICBBT 2009, 2010, 2011 and 2012 were held in Singapore, Chengdu, Sanya and Singapore respectively. The 2013 5th International Conference on Bioinformatics and Biomedical Technology will be held in Macau during March 17-18, 2013. Present your work at BiOS, part of SPIE Photonics West, on the latest biomedical optics, diagnostics and therapeutics, biophotonics molecular biology and genetics, optical microscopy, optical coherence tomography (OCT), optogenetics research - and access an international audience of leaders in this rapidly growing field. The XXXIII. 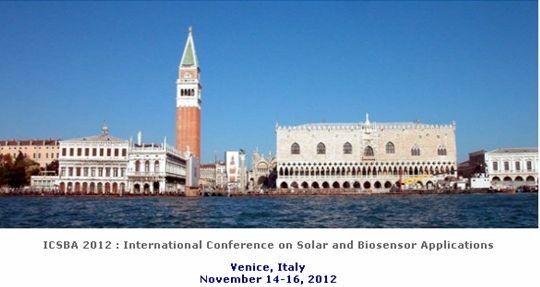 International Conference on Solar and Biosensor Applications aims to bring together leading academic scientists, researchers and scholars to exchange and share their experiences and research results about all aspects of Solar and Biosensor Applications, and discuss the practical challenges encountered and the solutions adopted. Welcome to the official website of Monitoring Molecules in Neuroscience: 14th International Conference. This conference follows in the tradition of the "in vivo meeting" which was first established in Nottingham, UK in 1982. The 14th international conference in the series will be held in central London around the South Kensington campus of Imperial College London on September 16–20, 2012. Our goal is that the meeting will bring together researchers who are on the cutting edge of development of neurochemical tools with those who are interested in adopting these techniques and would like to learn more. In the tradition of the meeting we particularly welcome PhD students and post-doctoral fellows to join us in the main meeting of the Monitoring Molecules community. 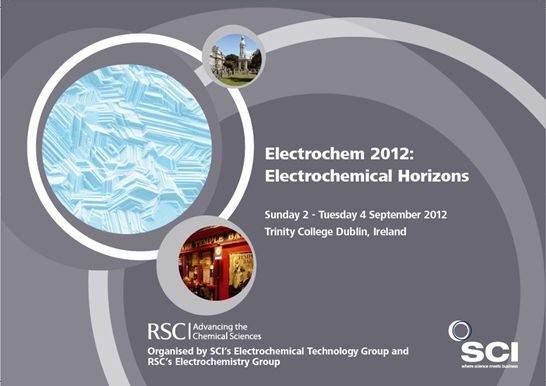 Electrochemistry for Advanced Materials, Technologies and Instrumentation. The 2012 GRC on Bioanalytical Sensors (June 17-22, Salve Regina) will present cutting-edge research in a highly multidisciplinary atmosphere by leaders in the field. This GRC will serve as a conduit for collegial discussions of unpublished data in biochemistry, biology, chemistry, engineering, medicine, and physics as they apply to the development and applications of bioanalytical sensors. This meeting will bring together a diverse group of participants ranging from technologists, who are at the forefront of developing novel sensing platforms, to engineers with cutting-edge integration concepts, to biologists/clinicians with highly impactful application areas that demand new sensing systems. Specific topical areas that will be covered include (but are not limited to) single molecule-based sensing, intracellular sensing, biomaterials with enhanced optical or electronic properties, nanomaterials, nanostructures, engineered surfaces, miniaturization and automation, and multiplexed detection in complex matrices. This GRC will also provide for informal discussions on funding opportunities in the area of bioanalytical sensors and strategies for the commercialization of new platform technologies. The 14th International Meeting on Chemical Sensors (IMCS-14) is the world’s largest interdisciplinary forum on all aspects of chemical sensors encompassing physics, chemistry, materials science and engineering disciplines including biomedical engineering. IMCS-14 is devoted to chemical sensor arrays including semiconducting, electrochemical, optical, SAW and piezoelectric sensors; sensors for health, safety and security; sensor arrays, electronic nose and signal processing; mechanisms, modeling and simulation; new materials; nano-materials and nano-structures; novel approaches to sensing; manufacturing and packaging. Welcome to the Advances in Biodetection & Biosensors conference and exhibition. This year's event will be held in the historic city of Edinburgh. The conference will be co-located with Advances in Microarray Technology, Lab-on-a-Chip and Single Cell Analysis Europe. The Humboldt Kolleg '12: "Nanoscale Science & Technology" is sponsored by the Alexander von Humboldt Foundation (Germany) and organized by Tunisian Humboltianers. The themes of the conference are based on nanoscale studies of materials for different applications. The multidisciplinary nature of the conference will provide large spectra of lectures in all fields of science and technology including quantum physics, lasers, chemistry, semiconductors, biophysics, biochemistry, energy, microsystems, biomedicine, metrology, microelectronics and embedded systems. The participants will have the opportunity to learn, among various topics, about novel phenomena in relation to the manipulation of nano-objects. The success of the conference lies not only in promising presentation but also in the active interaction of the participants. SmartSurfaces2012: From Light to Life is a unique conference, bringing together leading scientists and engineers from around the world to discuss the latest advances in surfaces for application in solar and biosensor technologies. Surfaces underpin these key technologies and the highly productive multidisciplinary approach to surface research is the impetus for this focal conference. The ability to manipulate surfaces offers the possibility of tailoring devices for current engineering and scientific needs and of producing new materials to meet challenges in the energy and biomedical fields. This unique international conference provides a platform for researchers and decision makers in biotechnology to present their latest findings and learn about all the important developments in biotechnology. Four Nobel Laureates and many world renowned experts will participate at the conference. The conference will cover the translational nature of biotechnological research, with emphasis on both the basic science as well as its applications in industry and academia. Presentations will include latest researches, business development, strategic alliances, partnering trends, product opportunities, growth business models and strategies, licensing and pharmaceutical biotechnology (e.g. vaccines, CNS, cancer, antibodies), medical biotechnology, industrial biotechnology, bioprocess engineering, protein engineering, plant and environmental technologies, transgenic plant and crops, bioremediation, and microbial diversity research. Throughout the course of the two day conference, you will have the opportunity to both network and hear leaders from the international academic and corporate biotechnology communities. The conference is organized by Eureka Science with the support of the Higher Colleges of Technology, UAE, and it focuses on the interdisciplinary fields of biotechnology. International Conference and Exhibition on Biosensors & Bioelectronics will serve as a catalyst for the advancement of Biosensors & Bioelectronics Techniques by connecting scientists within and across disciplines at conferences and exhibitions held at venues that create an environment conducive to information exchange, generation of new ideas, and acceleration of applications that benefit society. The Zing Nanotechnology Conference 2011 will focus on the synthesis, characterization, properties and application of functional nanomaterials in general, and cutting edge activities in Nanobiotechnology, in particular. Bringing together participants from across the region and around the world, this landmark conference will provide superb opportunity for conversation, collaboration, and networking. In addition to the technical presentations, the conference will provide insight into the latest products and developments from number of companies and organizations. Along with others, the conference aims to bring together the policy makers, regulators, trade associations, non-governmental organizations, media and other stakeholders under one roof to discuss and debate the potential applications of nanotechnologies as well as the social, ethical and environmental risks. Biomechanics encompasses a wide variety of subjects, including motion analysis and orthopaedics, as well as the study of cardiovascular, respiratory, musculoskeletal, and other systems. The Sixth IASTED International Conference on Biomechanics (BioMech 2011) will provide the opportunity for researchers and specialists to connect with others within their area of study as well as with those in the larger field of biomechanics. BioMech 2011 will be an international forum for researchers and practitioners interested in the advances in biomechanics and related scientific, healthcare, and industrial applications. It will provide an opportunity to present and observe the latest research, results, and ideas in these areas and will also strengthen relationships between industry, research laboratories, and universities. As the inaugural workshop, BioSPAN aims to share the recent developments in the biomedical domain of broadband and wireless computing and communication. This workshop will bring together leading researchers, engineers and scientists from around the world to disseminate their work in bio-sensing, bio-signal processing, biomedical application and bio-networking technologies. The inter-disciplinary approach is becoming an increasing need in scientific and industrial communities. The most evident example of such a need is represented by the strong interconnection between biomedical and communication engineering. On the one hand, ICT can provide new tools for making healthcare systems more efficient and responsive in order to supply in-the-home and mobile healthcare solutions. On the other hand, many of the most recent advances in communication technologies—from algorithms to the electronics and materials—are "bio-inspired". Moreover, it is increasing the awareness of the great potentials offered by the synergistic combination of many disciplines (e.g., mathematics and physics, biology and chemistry) in both biomedical and communication engineering. The global interest towards a safer Planet is forcing the industrial and scientific worlds to seek for engineering solutions in order to reestablish normal conditions both in terms of communication and medical-related functionalities, which are two of most basic needs of human beings, especially under critical scenarios in the aftermath of a disaster, either natural or man-made. Hence, from 2011 onward, ISABEL will also look upon the application of sciences in biomedical and communication engineering so as to develop novel technologies and solutions that can make our lives "safer" in critical situations. ISABEL aims at creating a stage where researchers, scientists and business people can discuss and share ideas at the frontiers of life sciences, pure sciences and engineering. Following the success of the inaugural conference, the second International Conference on Bio-Sensing Technology will bring together leaders from industry and academia to exchange and share their experiences, present research results, explore collaborations and to spark new ideas, with the aim of developing new projects and exploiting new technology for bio-sensing applications. Development and discovery of new biological molecules and systems for integration in bio-sensing applications. For example, novel molecules integrated with silicon components at the micron and nano-scales; biological targets for sensing technologies, for example new disease markers that can be used as a target for applications such as rapid diagnostics. The use of biomarkers also includes aspects of immobilization and stabilization. Novel sensing technologies developed for bio-sensing applications including optical, electrochemical, piezoelectric or magnetic measurements; novel sensors for bio-imaging. Micro and nano fabrication technologies used to develop and manufacture bio/sensors. Challenges associated with measuring signals generated by biosensor technologies to enable the utilization of bio-sensing systems. Potential solutions relating to the development of new instrumentation, signal and image processing, data analysis and communications. Issues associated with integrating technologies to produce a working bio-sensing system. This could include technical interfacing challenges such as sample introduction and handling through to aspects of commercialisation and adoption of bio-sensing technology into chosen markets. The recent progress of advanced materials and the relevant techniques benefits the development of biosensors and bio-imaging, ranging from organic to cellular and even molecular levels, to introduce significant impact in biomedical, industry, and military applications. In fact, there appear various types of biosensors and bio-imaging techniques, so that the corresponding researches require interdisciplinary knowledge and trainings in order to address respective needs, such as sensitivity, specificity, real-time diagnosis for biosensors, and super resolution, label-free contrast for bio-imaging. Biosensors based on Electrochemistry, Electronics, Mechanics and others. The 25th Anniversary of EUROSENSORS will be celebrated in Athens, Greece from 4-7 September 2011. Since its establishment in 1987, the EUROSENSORS series of conferences are the only European forum to cover the entire field of sensors, actuators and microsystems bringing together scientists and engineers from academia, research centers and industry. EUROSENSORS XXV will be held at Megaron Athens International Conference Centre (Megaron AICC), one of the finest and most technologically advanced conference venues in Europe. Welcome to the 4th annual Advances in Biodetection & Biosensors conference and exhibition. This year's event will be held in the historic city of Hamburg. The conference will be part of the European Lab Automation event. Registered delegates will have access to up to ten conference tracks ensuring a very cost-effective trip. This meeting will bring together researchers on new physical and chemical methods for the design and characterization of more efficient nanomaterials and devices destined specifically for energy conversion, storage and biosensors devices. Nanostructure Impact and Effects on DyeSensitized Solar Cells and hybrid organic-inorganic solar cells (focus on physical electrochemistry of DSC devices and inorganic semiconductor/organic solar cells). Nanostructured Materials and Applications in Nanoscale Energy Storage Technology (nanostructured supercapacitors, nanoscale batteries and fuel cells). Nanostructured Materials for Design of Biosensor Devices (focus on FET technology, electrochemical nanostructured biosensors, Carbon Nanotube biosensors). 2010 International Conference on Nanotechnology and Biosensors, ICNB 2010, will be held during 28-30 December 2010, in Hong Kong. ICNB 2010, aims to bring together researchers, scientists, engineers, and scholar students to exchange and share their experiences, new ideas, and research results about all aspects of Nanotechnology and Biosensors, and discuss the practical challenges encountered and the solutions adopted.